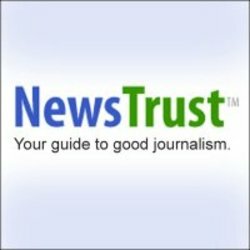 NewsTrust is an online social network that seeks to help people identify quality journalism. We'll take a look at how this works by discussing coverage of recent events surrounding the Superblock development in downtown Baltimore, and the movement to save Read's Drug store, site of an early civil rights sit-in, from being demolished. NewsTrust is an online social network that seeks to help people identify quality journalism. We’ll take a look at how this works by discussing coverage of recent events surrounding the Superblock development in downtown Baltimore, and the movement to save Read’s Drug store, site of an early civil rights sit-in, from being demolished. Use this link to read the article we’ll be discussing. You can rate the story yourself, as well. Our guests are Gin Ferrara, Newstrust Community Manager, Khalilah Harris, Executive Director of the Baltimore Freedom Academy, Malaika Aminata, student at the Morgan State University Journalism School, and Brionna Hollie, high school senior at the Baltimore Freedom Academy.